At Gayle Harvey Real Estate, we understand that buying and selling real estate in Charlottesivlle can be complicated and stressful, particularly since your real estate holdings may be your largest financial investment. We listen to your goals and work diligently to help you achieve them as quickly and easily as possible. Our agents only represent one party in a transaction, so you can be assured that you will always have an advocate on your side. To expedite your search process, we have sorted all of the Charlottesville real estate listings into various categories. Just click on the type of property below that you desire and you will be taken to that specialized site. When you are ready to start your search with a local Charlottesville Realtor, it will be our pleasure to assist you as your real estate agent. Charlottesville Va Homes for sale come in all shapes, sizes and even colors! While the dominant architectural style is colonial, the Arts and Crafts style has become very popular with the area's builders in recent years. Regardless if you desire to live in the Charlottesville downtown area where you can walk to restaurants, or in a development within easy commuting distance to your work, or a grand farm or estate in the country, you can find all the Charlottesville Real Estate for sale at Central Va Properties. 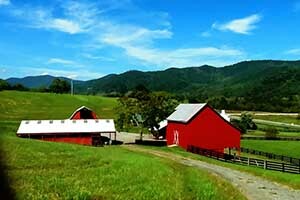 The farms in Virginia are some of the most beautiful in the United States. Because of the rolling hills, farmers generally plant crops in strips and then rotate the crops over the years. This adds beautiful color and texture to the farm land throughout central Virginia. With rich fertile soils, Virginia farms produce a wide array of different products. Visit our current offering of Virginia Farms for sale. 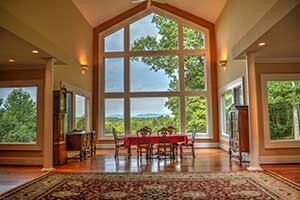 Estates and luxury homes can be found throughout the rolling Piedmont and foothills of the Blue Ridge Mountains. Our estate and luxury home offerings include southern plantation homes located on many of the various Virginia Hunts including Keswick, Farmington and Bull Run as well as private estates tucked discreetly into the Blue Ridge Mountains. 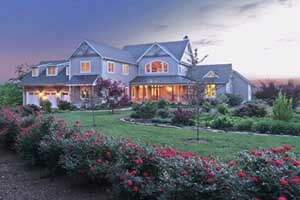 Visit our current offering of Virginia Estate and Luxury Homes for Sale. Virginia's rich history provides us with many delightful historic homes for sale. Throughout Charlottesville the architectural legacy of Thomas Jefferson is quite prevalent. In addition, Georgians, Federal, Classical, Greek and Gothic Revivals can all be found throughout the Virginia countryside. Perhaps a simple old farmhouse is more your style? 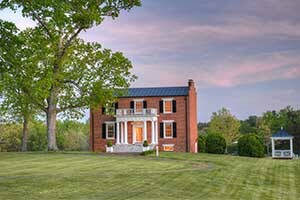 Visit Charlottesville Historic Homes to see our current offerings of all the old and antique homes available for sale. 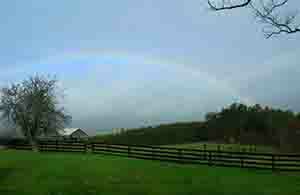 Interested in purchasing your own land parcel to create the Virginia home or farm of your dreams? 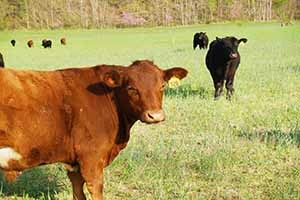 Central Va Land provides you with all of the current Charlottesville Virginia and surrounding counties land for sale from small lots located in the various developments scattered throughout the Charlottesville metropolitan area to large acreage tracts in which to create your farm, estate or retreat. 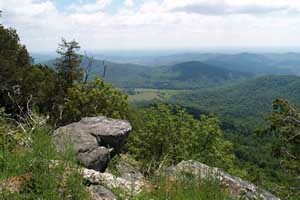 Visit our current offerings of land for sale in Virginia. 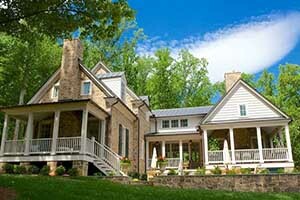 Builders in Charlottesville are actively constructing new homes throughout the central Virginia region. There are several builders in the area ranging from Ryan Homes to top of the line custom builders. New homes can be found in various communties and developments within the Charlottesville area and the surrounding counties of Albemarle, Nelson, Madison, Fluvanna, Orange, Greene and Louisa.